From Korean fusion tacos, to the classics on soft corn tortillas (and yes, we found grilled street corn), the area is now home to some of the most delicious tacos you're going to find around town. This is not a neighborhood traditionally known for its tacos. But the times have changed, and Allston–Brighton is quickly growing into one of Boston’s most dynamic neighborhoods to eat, work, and live. 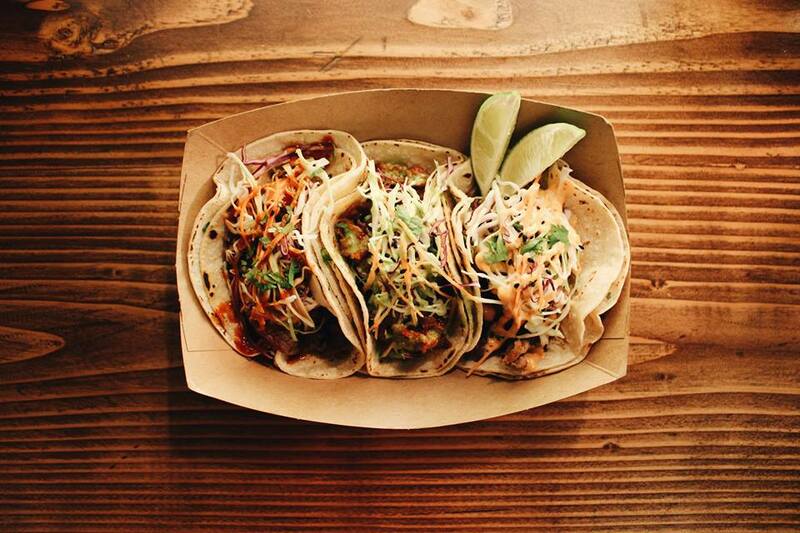 The area is also spearheading one tasty taco revolution. You know the saying: "You can't make everybody happy. You're not a taco." Maybe you can make everybody happy if you're a neighborhood filled with delicious tacos? We think so. Here are some of our favorites. Nothing says summer like fish tacos. And the Baja style flavor bombs at Los Amigos Taqueria mean serious business. 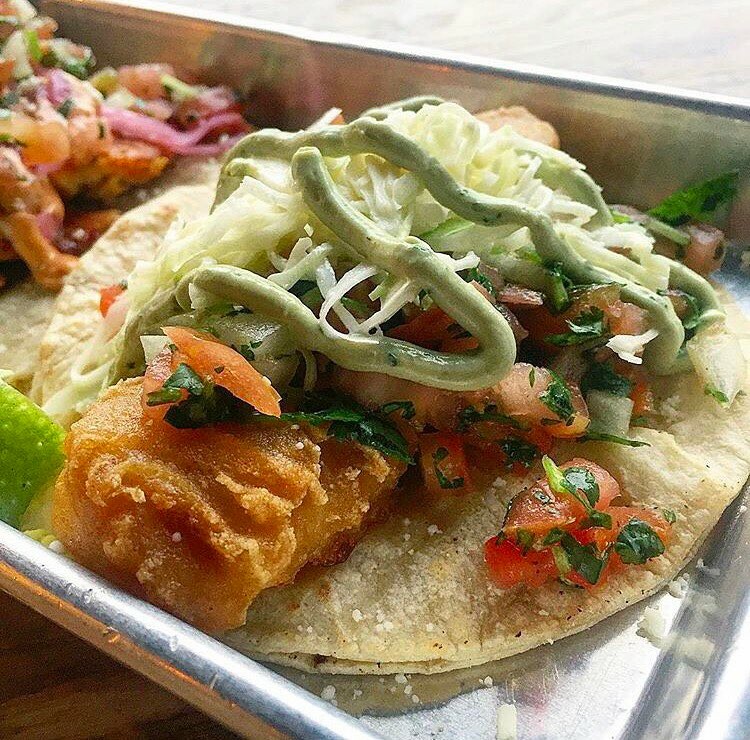 Fresh corn tortillas are topped with beer-battered haddock, pico de gallo and cabbage slaw, a drizzle of avocado crema and sprinkling of cotija cheese to balance out the fried fish. They're fantastic. If battered fish isn't your thing, try the Amigos-style; sautéed tilapia topped with pickled onions, and a chipotle creama for an added kick. Vegetarians are going to want to skip the tacos and order the fried plantain-filled burrito. It's a tasty balance of traditional Mexican flavors with a surprising sweet kick. Los Amigos is a local chain and can be found in several locations in the Boston-area — W. Roxbury, Newtonville, Coolidge Corner, and our flagship: Brighton Center. Coreanos is small, but don’t let the size of the place fool you. These tacos pack a big punch, and their Korean fusion tacos are some of the tastiest we've found. You choose your filling: bulgogi beef, kalbi short rib, spicy pork, miso chicken or kimchi and fried tofu — and Coreanos piles on a delicious soy ginger slaw and assorted accompaniments like sauces, limes and sesame seeds. We recommend the bulgogi beef taco. It has a gochujang pepper sauce that is the perfect mouth-watering balance of sweet and spicy. Try ordering a taco with the spicy pork if you're looking for something hot. OH. And please don’t skip the kimchi fritas. They are one of the tastiest creations we've ever tried. French fries are topped with kimchi, gooey cheese, and a runny sunny side egg. Trust us, it works. Lone Star Taco Bar has done a fantastic job combining fresh new ingredients with traditional Mexican street food flavors. And their beef barbacoa speaks to that nicely. Smoked brisket sits on top of fresh corn tortillas and is topped with a heaping pile of picked red onion, and an avocado crema and cotija cheese to balance the beef. It's a perfect little gift of flavor. 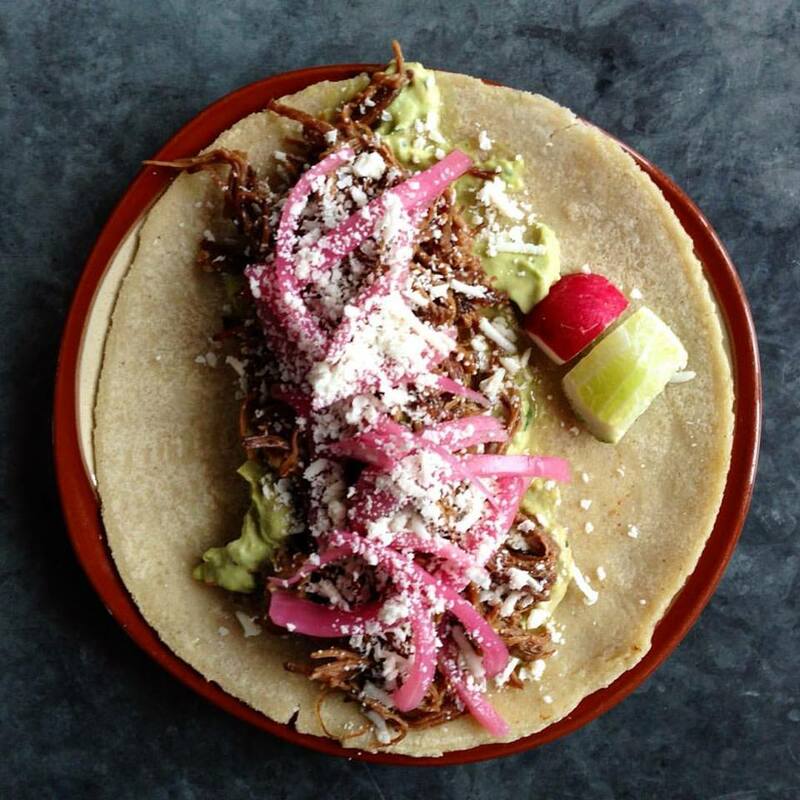 We like to order our barbacoa along with the grilled avocado with griddled queso taco. It's topped with a salsa and corn relish that cools down the entire plate. 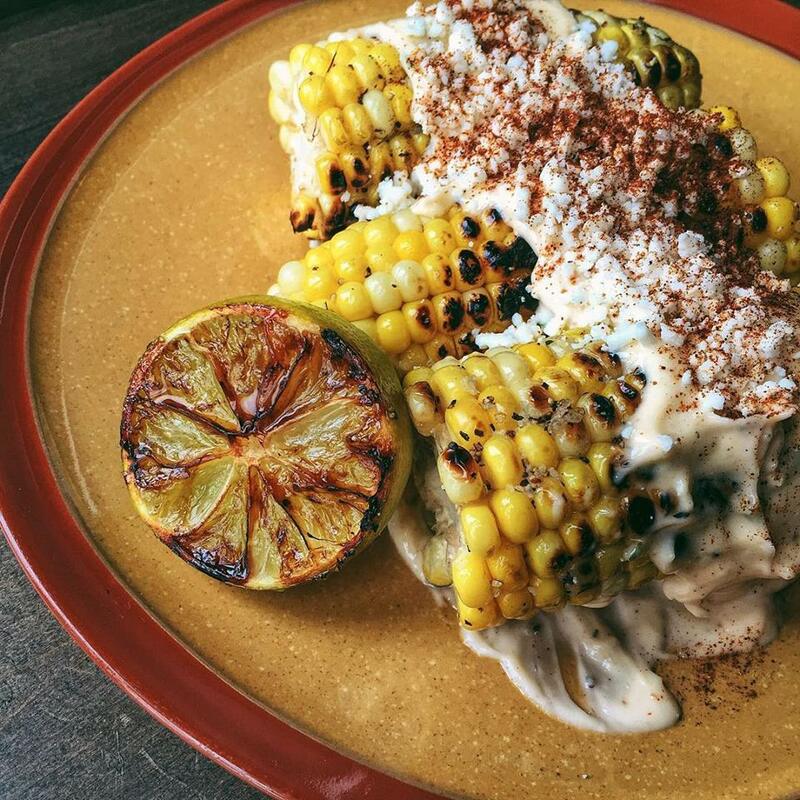 And don't even get us started on Lone Star's grilled street corn. It's billed as a "to share" plate, but we prefer to order it as a second entrée and don't you even dare try to take an ear. Lone Star has recently expanded and now has an additional location in Cambridge. Dorado Tacos isn't quite in the Allston–Brighton area, but a close enough neighbor sitting on the border in Brookline. 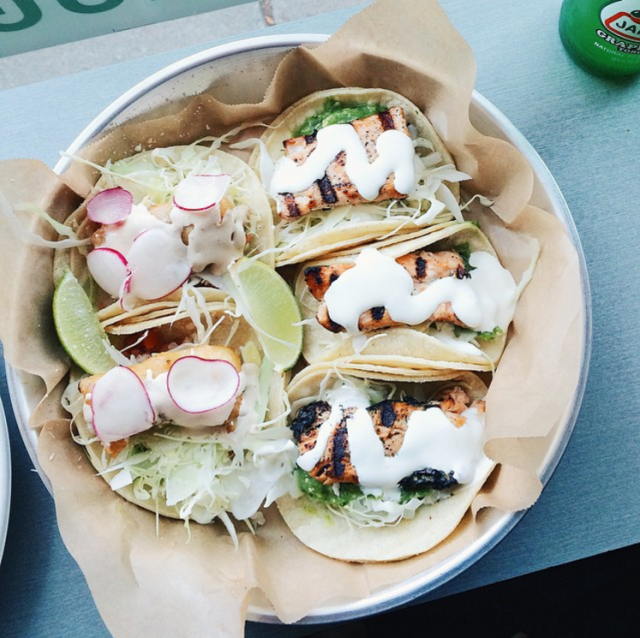 No matter, their grilled salmon tacos are worth walking a few extra blocks. They come topped with a unique tomatillo and avocado salsa, a heaping pile of crispy cabbage, and a smooth crema that pairs nicely with the grilled fish. And no trip to Dorado is complete without an order of their chips and guacamole. Dine outdoors if you dare; there's plenty of sidewalk seating. But don't be surprised if a 4-legged friend snags a chip.